The reality, though, is that Jobs is the latest in a long line of humans that seemingly sacrifice their humanity to become great artists or contributors to society. The other that quickly comes to mind is Jack Nicholson. He’ll wow you with his acting (seriously, the last 45 seconds of About Schmidt is one of the most powerful scenes in movies). But he too has a reputation for being a jerk. Other great but tyrannical leaders do as well. 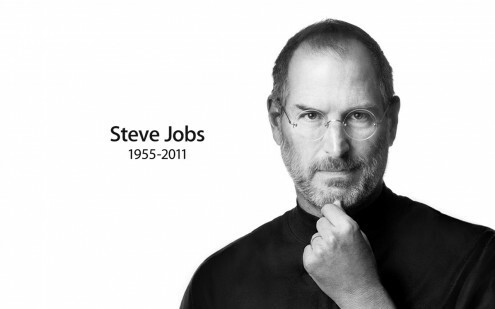 That said, Jobs was an inspired businessman most of the time and good guy some of the time. I certainly came away with a stimulated mind and greater focus after reading the book. He’s also a poet. And I appreciated the remorse and hope he demonstrated near the end of his life. The last page, in particular, is very uplifting and ironic. So for anyone interested in business, personal computing, or music, Steve Jobs is a fascinating and inspirational read. It will also help you take stock of how you treat others in your life. Just got the book and always felt similarly. The encounters with Steve that people wrote about since he stepped down have talked about being awed, rather than connecting. Huh. Interesting . . . That was a really well-written review, Blake. Thanks! You know, RPG’s are right: you can’t have all of your stats leveled up together. You put one up, you might need to take another down. I’ve noticed that holds true in the real world. Idiot savants, artistic geniuses, sports athletes, etc all might have a really strong quality, but it seems like something else ends up sacrificed. That’s what I suspect, David. Perhaps the choice is: You can be great in one area of your life and a turd in others, or you can strive for well roundedness but forgettable. Would be interesting to try and ID people who are both great without the usual sacrifices.